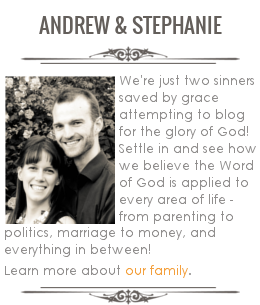 WHO CAN STAND: Planning a Christ-Centered Wedding! Make your ceremony an open invitation! Often logistics and costs mean that you can't invite everyone you want to to your reception - but often this isn't the case with the ceremony. Make an event on Facebook, put a note in your church bulletin, email old friends and mentors - and invite them to come celebrate with you. Weddings are joyous times and our culture is seeing less and less of them. Give as many people as you can the opportunity to come and remember that marriages are created by God, and a wedding is a beautiful thing. always protect both you and those under our roof. always sanctify you with the washing of the Word of God. lead our family in family worship. be caring, listening, calm, not quick-tempered, not given to drink, not violent, not greedy for money. be hospitable and sober minded. never to leave you or forsake you, for all my days. pray with you and for you. submit joyfully to your leadership as does the church to Christ. help raise our children in the training and instruction of the Lord, with love and grace. make ours a home of warmth and joy always open to others. trust you and be worthy of your trust. 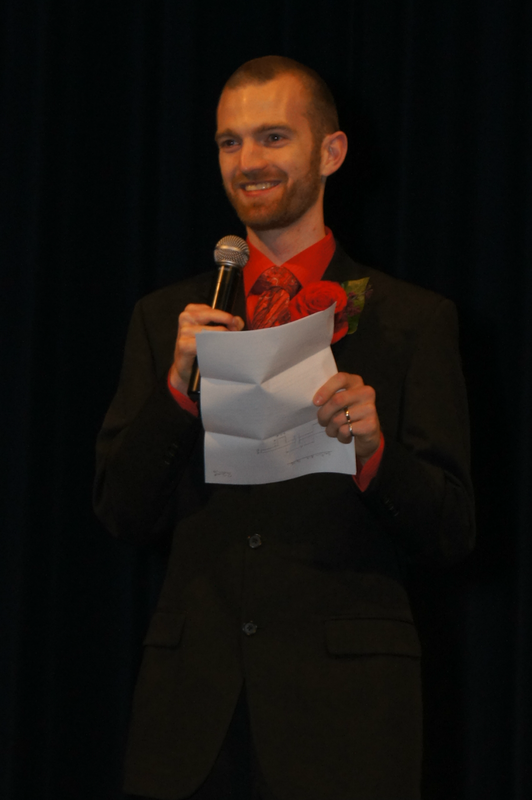 Andrew spoke briefly at our wedding on Ephesians 5. Now I obviously do not think it is mandatory for the husband to speak, but it was a neat way to acknowledge that he is the spiritual head of the home. 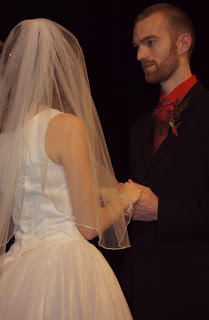 From the first moments of our marriage, Andrew was using the Word of God to encourage and exhort me. I knew before I married him, but it was obvious in this action, that Andrew would not take lightly the position God had granted him. We shared our first kiss on our wedding day. Along with the obvious reason of fleeing from temptation of sexual sin before we were married, we also hoped to be a light in a dark world that purity does matter and is beautiful. 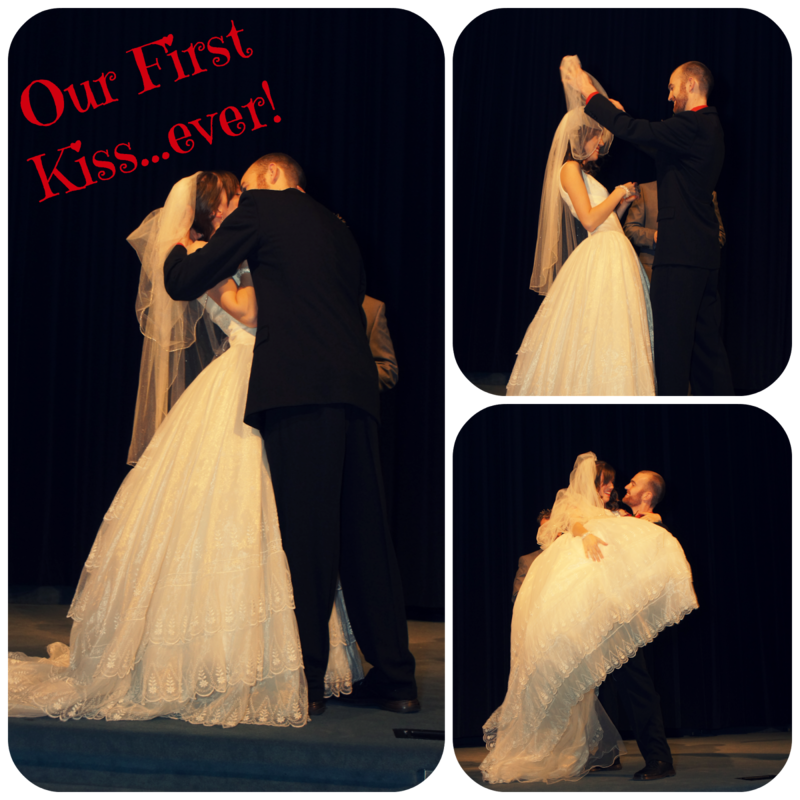 I was certainly nervous about having my first kiss in front of all those people, but I can say honestly that it was wonderful! It gave real meaning to "You may now kiss the bride!" and certainly lent an intensified air of excitement to the ceremony. We invited our family and friends to join with the pastor in praying for us and our marriage. Marriage was created by God, and so it makes sense that Satan hates marriages and seeks to destroy them. Thus marriages should be bathed in prayer, by the spouses certainly, but it is also a wonderful gift to a married couple to be praying for them before, during, and after their wedding ceremony. Having a prayer involving the guests at the ceremony can help them to see the importance of their prayers to your marriage. How did you make your wedding meaningful? Or how have you seen it done at other weddings? Happy happy happy anniversary! I've been doing the exact same thing... "what were we doing this time two years ago!?" It seems like it's gone so fast! hope you have a great day together! I love the idea of a community prayer at the end of the wedding! I know if I'm ever married I'd like to do a Jewish style ceremony in many ways. It's symbolism is even stronger than the traditional protestant ceremony for the idea of Christ and his church. I also like that it shows that both sets of parents are giving away their children, not just the wife's father. Thanks for sharing these ideas! I'd be interested to learn about the aspects of a Jewish ceremony that would be meaningful to Christians - thanks for pointing that out! What a beautiful post, Stephanie! And what an inspiration to those planning their big day to keep God first, not letting HIm get lost in all the excitement and planning. I am featuring your post tomorrow on my link-up! Where did you get the dress? It is gorgeous!